William was born at Harswell, Yorkshire, on 2 February 1803. William made his first attempt to preach at Pocklington. It proved an inglorious effort. He wrote; ’As soon as I opened my mouth I shut me eyes, and when I opened my eyes I shut my mouth.’ Yet this nervous youth became one of the most distinguished PM preachers of his day. He is remembered as the ‘Silver-tongued Orator’. He was known to deliver a ‘glister’ – a bright or scintillating sermon, which was an incidental tribute to the piercing insight which held audiences spellbound. 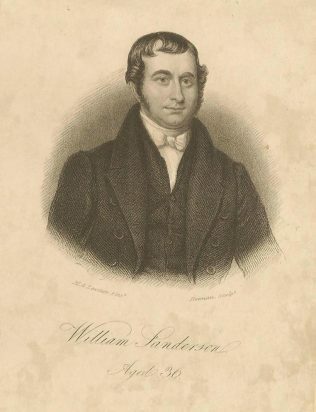 William married Mary Charles Shaw (1802-1882) on 28 December 1826 at St Swithin, Lincoln. Census returns identify six children. William died on 13 April 1874 at Kirton Lindsay, Lincolnshire.